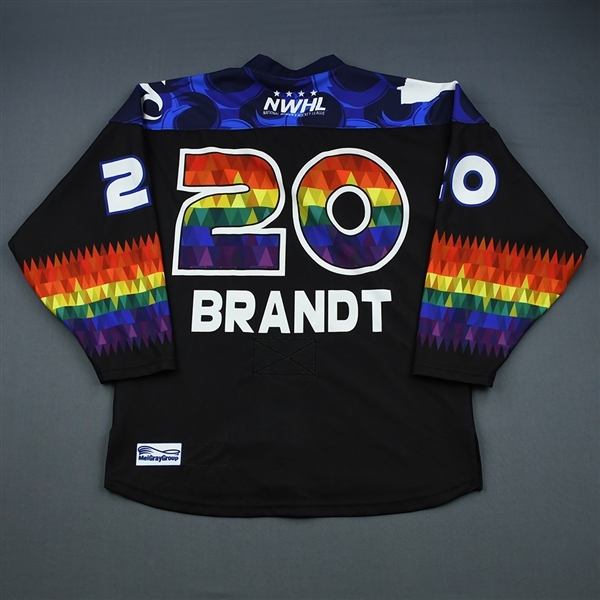 The NWHL-MeiGray Group Game-Worn Jersey Authentication Program is proud to offer fans and collectors across the globe the opportunity to own a piece of history ... the You Can Play jersey worn by #20 Hannah Brandt of the Minnesota Whitecaps. 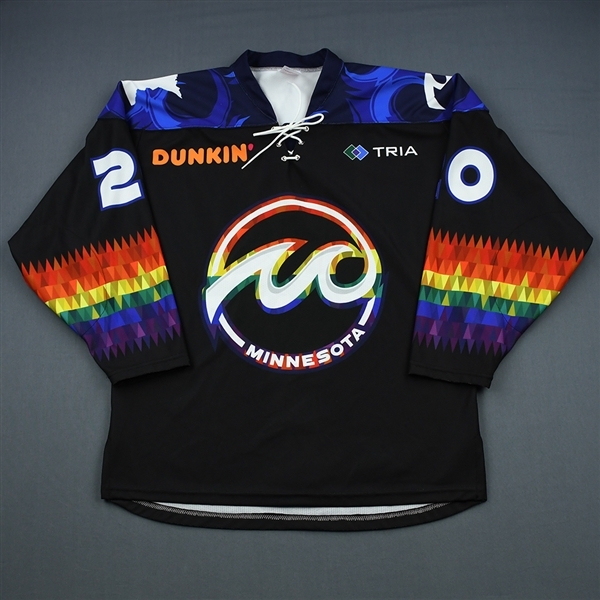 Hannah Brandt wore this black You Can Play jersey while playing for the Minnesota Whitecaps in their 2-0 You Can Play Night victory over the Connecticut Whale on January 19, 2019 at TRIA Rink in St. Paul, MN. Brandt sealed the win for the Whitecaps by scoring an even strength goal 3:53 into the third period, her fifth goal of the season. The Whitecaps' You Can Play jerseys feature a rainbow-accented crest with rainbow numbers and stripes on the arm on top of the Whitecaps' signature black sweater. The You Can Play Project, a partner of the NWHL, works for equality in all sports for LGBTQ athletes, coaches and fans. 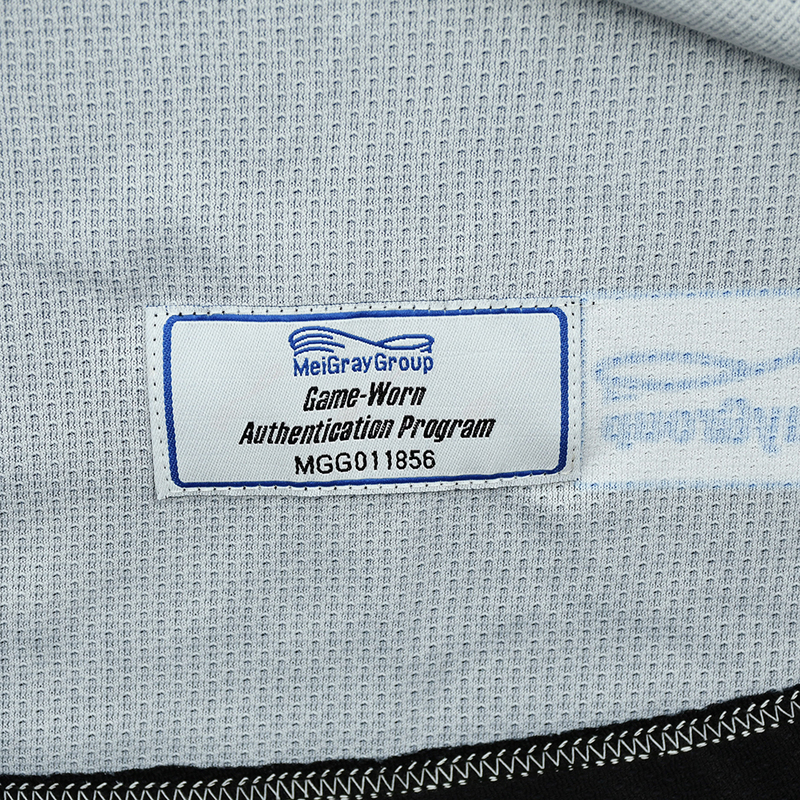 Proceeds from this auction will be donated to the You Can Play Project. 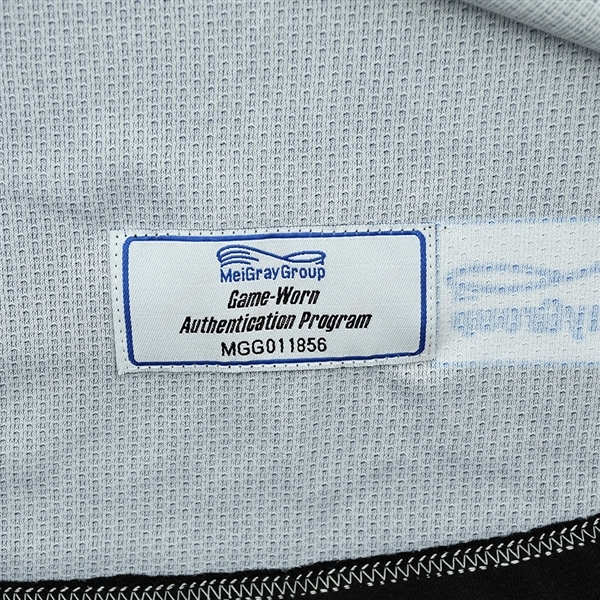 This jersey is a size LG and is registered into the MeiGray Group Game-Worn Jersey Authentication Program as number MGG011856.